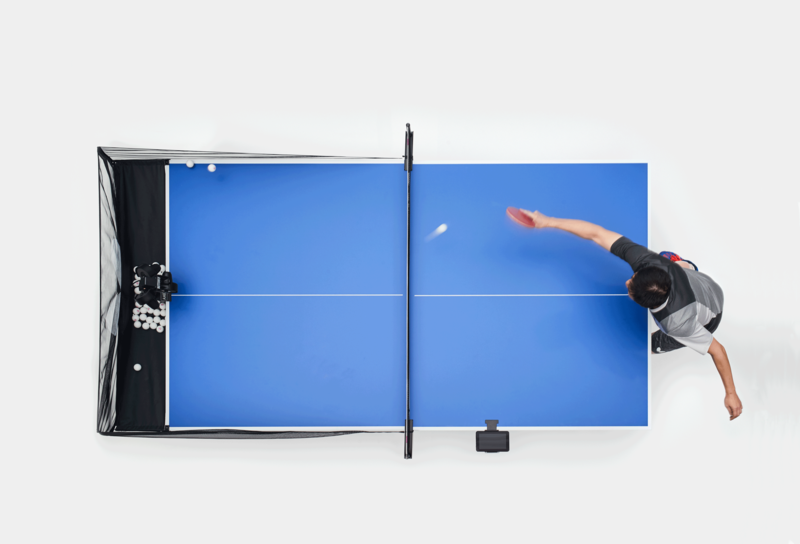 The new AMICUS PRIME sets out to redefine the possibilities of a table tennis robot and will excite fans all over the world. 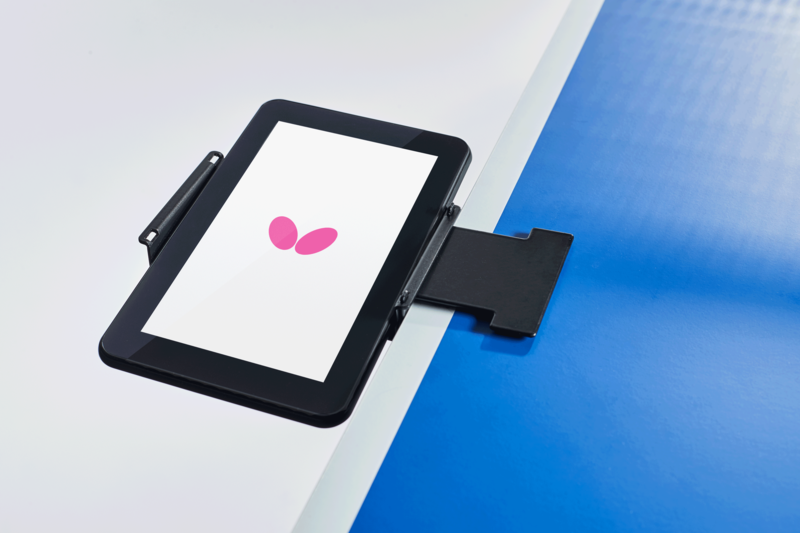 The innovative PRIME is controlled wirelessly via Bluetooth technology from the AMICUS app running on either the included tablet computer or any smartphone or tablet operating iOS or Android. AMICUS app software offers a multitude of interactive content, improved and add-ed to with regular updates. 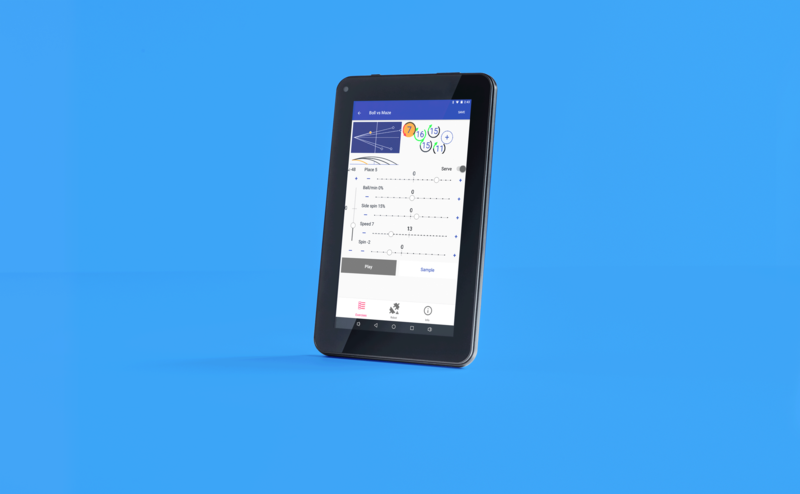 Creating exercises, changing spin, speed, placement and trajec-tory has never been easier. 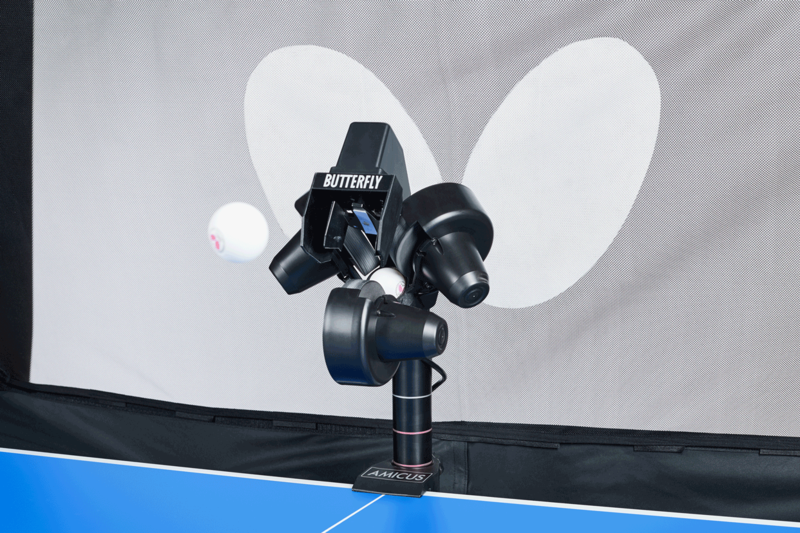 Pre-saved exercises created by professional players and coaches are playable at the press of a button with in-app videos by stars such as Timo Boll just wait-ing to show the correct execution and provide useful additional information from his regular training with the AMICUS robot. Get acquainted to our AMICUS flagship model and discover the new possibilities of the most tireless, and always ready, training partner you will find. 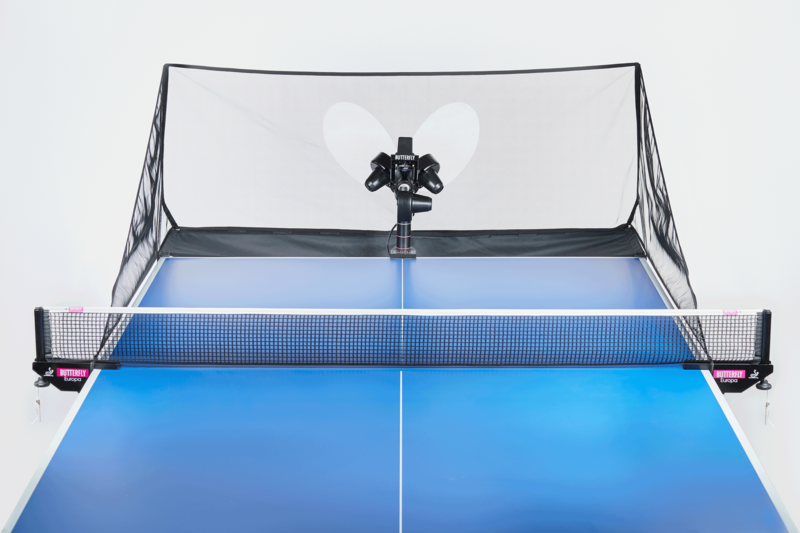 Special features of AMICUS PRIME: Ball frequency of up to 120 balls per minute Spin, speed, trajectory and placement can vary from ball to ball. Controlled by the application on tablet (or user supplied Android or iOS device) and connected wirelessly to main robot via Bluetooth. Software and firmware regularly updated with help of the app. Several robots may be operated by one device (consecutively). Device can be re-charged directly at the robot. Left-Right (mirror) switch for reversing drills to match the dominant hand of the user so forehand/backhand placement are correct. Sample function to test individual balls within a drill. Individual Frequency Control can customize the time interval between any two con-secutive balls. Cycle function lets you easily incorporate interval training in your table tennis prac-tice sessions. Pre-programmed with 20 drills created by German Butterfly Coach Richard Prause Pre-programmed drills can be modified or replaced. Integrated videos show how to properly practice each pre-programmed drill. Memory for storing drills limited only by memory of the device used to run the app. You may sequence together several drills by using Cluster Memory so a sequence of drills runs automatically either one after the other or randomly.